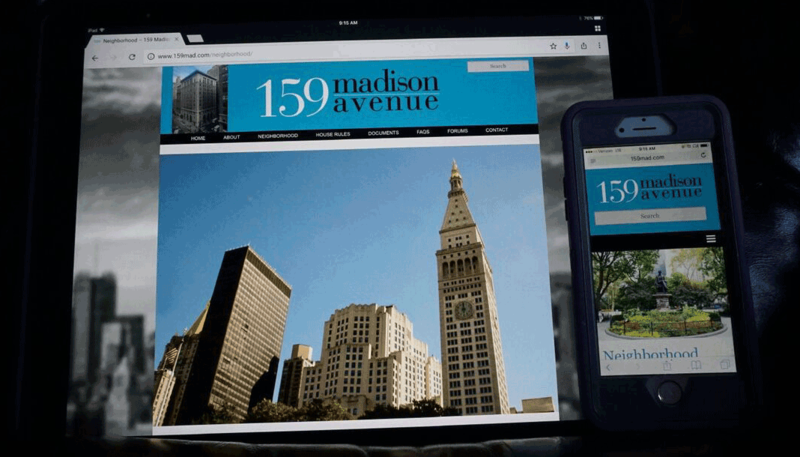 The Manhattan co-board of 159 Madison required an easy to use Web Site that would prominently display building information and create community in the building. The site also functions as a blog and allows board members to post information on the landing page saving time and energy to get their message across. New owners of the building are directed to the website for documents such as house rules and renovation policies. As new documents are available board members can update the site themselves. Everyone wins!